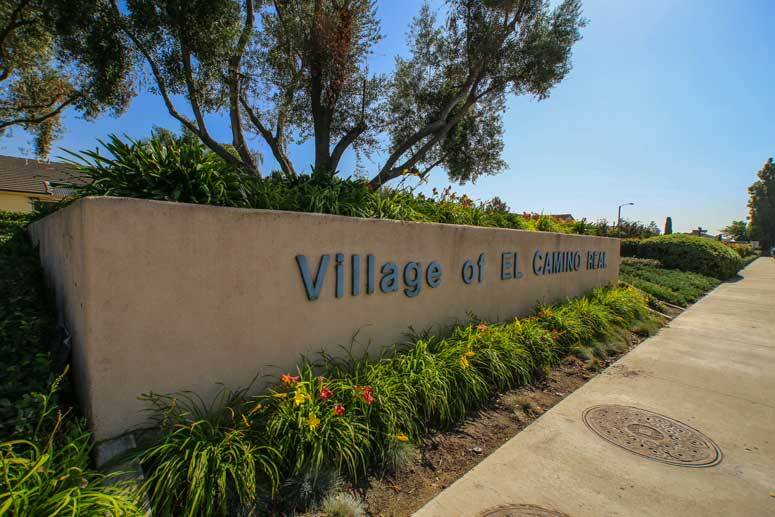 The Ranch community is a large home tract in the El Camino Real community in the City of Irvine. The neighborhood consists of 630 single family homes built by Pacesetter, Ayres and Presley Home builders in the 1970's. It is located just west of 5 Freeway and borders Yale Avenue, Irvine Center Drive and Jeffery Road. It is a short walking distance to Ranch and Hoeptner Park. The Ranch homes offer twenty five floor plans featuring 3, 4, 5 and 6 bedrooms starting from 1,464 to 3,080 square feet of living space with attached two and three car garages. The Ranch has many community amenities the include beautiful green parks and many local walking trails. Schools fall within the award wining Irvine Unified School District and include Deerfield Elementary School, Venado Middle School and Irvine High School. The Master Homeowner's Association is Deerfield Community Association who is managed by Accell Property Management at 23046 Avenida De La Carlota, Suite 700 Laguna Hills, California 92653. They can be reached at 949-581-4988. 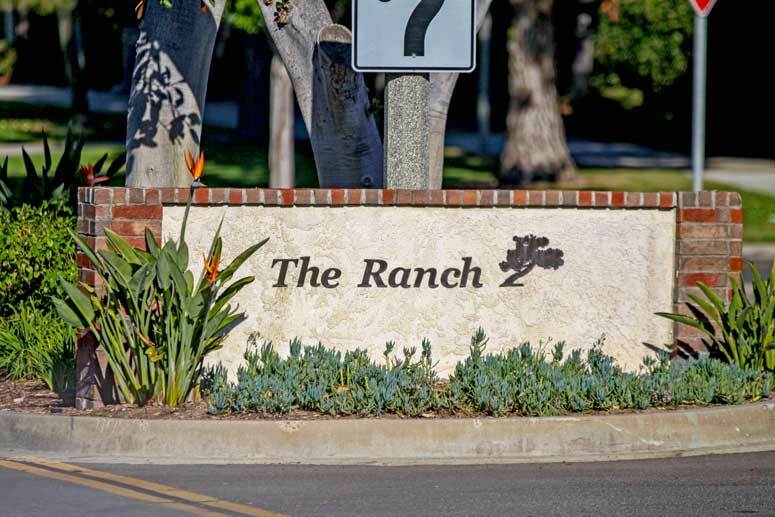 There are no homeowners association dues for The Ranch community. Plan 101 - 4 bedrooms, 2.5 baths, 2,160 square feet with attached two car garage. Plan 102 - 4 bedrooms, 3 baths, 1,940 square feet of living spaces with attached two garage. Plan 102 C - 5 bedrooms, 4 baths, 2,330 square feet of living spaces with two car garage. Plan 103 - 3 bedrooms, 2 baths, 1,464 square feet of living spaces with two car garage. Plan 104 - 3 bedrooms, 2 baths, 1,480 square feet of living spaces with two car garage. Plan 105 - 4 bedrooms, 3 baths, 1,791 square feet of living spaces with two car garage. Model Appaloosa - 4 bedrooms, 2.5 baths,1,950 square feet of living spaces with two car garage. Model Cascade - 4 bedrooms, 2.5 baths, 2,104 square feet of living spaces with two car garage. Model Cheyenne - 4 bedrooms, 2 baths, 1,465 square feet of living spaces with two car garage. Model Dorado - 3 bedrooms, 2 baths, 1,423 square feet of living spaces with two car garage. Model Forest Hills - 4 bedrooms, 3 baths, 2,300 square feet of living spaces with two car garage. Model Granada - 4 bedrooms, 2.5 baths, 2,600 square feet of living spaces with two car garage. Model Granada - 4 bedrooms, 2.5 baths, 1,890 square feet of living spaces with two car garage. Model La Palma - 4 bedrooms, 2 baths,1,800 square feet of living spaces with two car garage. Model Monterey - 3 bedrooms, 2 baths, 3,000 square feet of living spaces with two car garage. Model Monterey - 4 bedrooms, 3 baths, 3,080 square feet of living spaces with two car garage. Model Monterey - 6 bedrooms, 3 baths, 3,000 square feet of living spaces with two car garage. Model Monterey - 6 bedrooms, 4 baths, 3,000 square feet of living spaces with two car garage. Model Saddleback - 3 bedrooms, 2 baths, 1,250 square feet of living spaces with tow garage. Model San Jose - 3 bedrooms, 2 baths, 1,500 square feet of living spaces with two car garage. Model San Lucas - 3 bedrooms, 2 baths, 1,675 square feet of living spaces with two car garage. Model San Miguel - 4 bedrooms, 3 baths, 2,230 square feet of living spaces with two car garage. Model Sorrento - 4 bedrooms, 2.5 baths, 2,100 square feet of living spaces with three car garage. Model Vera Cruz - 3 bedrooms, 2 baths, 1,740 square feet of living spaces with two car garage. Model Wimbleton - 4 bedrooms, 3 baths, 2,450 square feet of living spaces with three car garage. So if interested to buy, sell or lease at Ranch homes then, please, have a look around, and contact us with any questions you might have about the market or our services. No question is too mundane - we want to help!